Doctor Jane Beekman has seen her dying mother’s soul, a vision about the bed—a soul struggling with a decision, some undone task, something in this world too noble to leave. The sight was brief, but surely a lesson. The lingering question—Why?—prompts a shift in the doctor’s priorities. For in this election year Jane must do what her mother, an aspiring social activist, would have done. Soon, Jane is deep in the world of Georgia politics, working to make sure her dynamic young brother-in-law Jackson Beekman is elected the next governor, regardless of what the soul of the candidate’s dead father or that of his living brother—Jane’s husband—might want done. Indeed, it is a mother’s persistence and a father’s legacy that will ultimately turn one Beekman brother against, the other, a struggle with moral consequences that may extend far beyond Georgia. Set amidst 2004’s polarizing election fears—immigrants and job take-overs, terrorists in waiting, homosexuals and outsider agendas—Shirtless Men Drink Free makes vivid the human soul’s struggle in a world bedeviled by desire and the fears that leave us all asking—Why? “‘I would rather be a doctor,’ Marina Tsvetaeva once wrote regarding the poet’s vocation. Such was her urge to ease the pain of others. For who is more qualified than a poet-physician to tell us, following Ovid’s words, of how bodies change into different bodies? 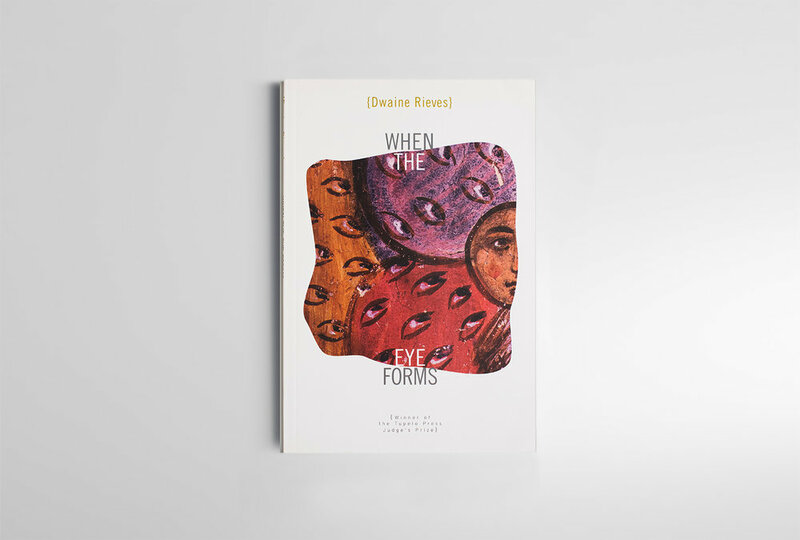 Dwaine Rieves’ When the Eye Forms offers us that rarity, a poet-doctor’s book of days. This is first and foremost a book of people: we find here Miss Welty and Mr. Phelps, Aunt Jemima, Jennifer, Edna, Sylvia and so many others with stories are not unlike our own, but are here illuminated by Rieves’ loving attention to the details of the world, remarkably various, as this is a poet who is able to work on multiple levels of perception… Rieves writes equally well of the public realm and, as in the brilliant poem “Leaving,” of deeply private heartbreak.